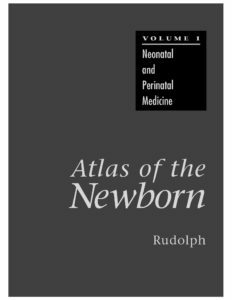 This is a comprehensive reference for those involved in neonatal medicine. It is the first title of a five-volume work covering diseases, disorders and conditions affecting the newborn. Numerous colour illustrations provide the reader with a comprehensive collection of newborn diseases. This volume is an excellent guide that comprehensively illustrates hypertensive disorders of pregnancy, especially preeclampsia, in both the basic and clinical aspects. Preeclampsia is a pregnancy-specific multi-organ disorder and a leading cause of maternal and neonatal mortality. The pathophysiology of pregnancy-specific disorders was long unknown, but recently many new findings have been reported from the point of view of pathophysiology. Furthermore, this complication of pregnancy, especially preeclampsia, is a potent risk factor for chronic conditions such as cardiovascular disease, diabetes mellitus, kidney disease, and hypertension. 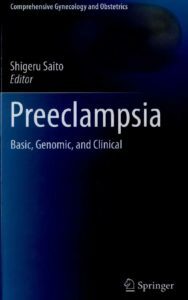 The book is composed of seven parts including genetic background, pathology, pathophysiology, and the latest prediction and treatment of preeclampsia. Specific basic topics such as immunological maladaptation, placental adenosine signaling, and new prediction markers are also expounded by experts. Thus it benefits not only obstetricians, pediatricians, nephrologists, diabetologists, and cardiologists, but also immunologists, endocrinologists, geneticists, pathologists, biologists, and molecular biologists who are interested in the treatment of hypertension in pregnancy. 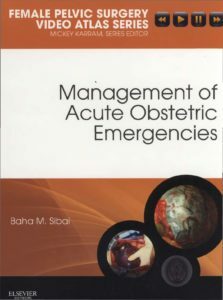 Management Acute of Obstetric Emergencies, by Baha M. Sibai, MD, is the ideal way to enhance your skills in this key area of obstetrics. In this volume in the Female Pelvic Surgery Video Atlas Series, edited by Mickey Karram, MD, detailed discussions and illustrations, case studies, and video footage clarify how to most effectively anticipate and perform a variety of emergency procedures and manage complications. Supplemental video presentations take you step by step through high-risk obstetrical emergencies including evaluation and management of hemorrhaging (antepartum, intrapartum, and postpartum), managing maternal cardiac arrest, and more. The decision to update the first edition was taken after considering the enormous advances in aetiology, pathology, and management of diseases of the female lower genital tract. The authors approached a number of colleagues who are experts in these respective fields and who generously offered to assist in the production of this second edition. Alastair Deery enlarged the pathology and cytological aspects of the second edition and Kari Syrjanen contributed his expertise in respect of the human papillomavirus. They and other contributors helped to make the second edition more «balanced» in that it now includes extensive material on the above topics as well as a section on cytological screening that were missing from the first edition. It is imperative for the practising clinician to be aware of many of these new developments so as to help in the overall care of the patient. Knowledge of the causation of a disease will go some way towards alleviating the enormous anxiety that is generated in women who are diagnosed as having lower genital tract precancer. The brief of this text does not allow any extensive coverage of the psychological problems referred to, but it is the responsibility of the clinician to be aware of these problems. Modern technology, especially digital imaging and data management, made it imperative a colleague be found to help the senior authors incorporate these new developments into the second edition. Dr Swee Chong Quek has ably assisted us in this task and a number of these images are included in the text. He contributed the section on cytological screening and was also invaluable in the overall production. Since the first edition, the new developments referred to above have greatly increased the profile of this subject. 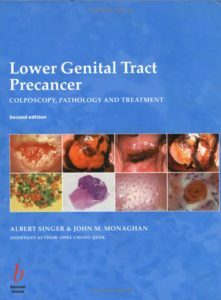 Clinicians are now called upon by their patients to be «expert» in all aspects of lower genital tract precancer, and it is the hope of the authors that they have succeeded in presenting a second edition that will allow them this knowledge. Steven G. Gabbe Obstetrics. Normal and Problem Pregnancies. Obstetrics. Normal and Problem Pregnancies. 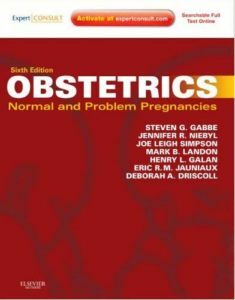 Highly readable, well illustrated, and easy to understand, Obstetrics: Normal and Problem Pregnancies remains your go-to choice for authoritative guidance on managing today’s obstetric patient. Reflecting the expertise of internationally recognized authorities, this bestselling obstetrics reference has been thoroughly revised to bring you up to date on everything from ultrasound assessment of fetal anatomy and growth, to medical complications in pregnancy, to fetal therapy…and much more! Obstetricians must have a firm grounding in the diagnosis and management of diseases affecting pregnant women as in some cases these may threaten the life of mother or baby or both. 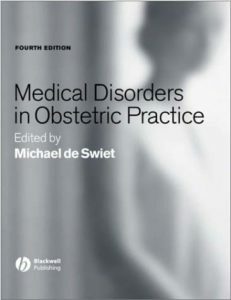 This book still remains the standard reference work on medical disorders in obstetric practice in the UK and UK–influenced areas such as the former Commonwealth. Exhaustive in its coverage, it provides clear practical advice on the major medical disorders the obstetrician is likely to encounter. Each chapter reviews the pathophysiology of a complaint then applies the physiological and pathophysiological changes to the problem of diagnosis and management of the disorder as well as giving clear guidance on the welfare of the unborn One of the major strengths of the book is that each chapter teaches the principles of care and gives an appreciation of the natural history of the disease rather than just the facts. Although a scholarly and rigourous account it manages to point out the clinically relevant information that the practising obstetrician will actually need. 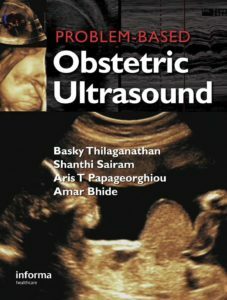 This short textbook on problem-based obstetric ultrasound is an important and needed text for those who scan for fetal anomalies. The book takes a pragmatic approach by first defining an anomaly followed by a decision tree that indicates what other features need to be investigated to reach the definitive diagnosis. In a short text it is difficult to cover the entire pathology seen on scanning, but it covers more than adequately most of the common problems. In addition to the decision algorithms, the text is well illustrated by the appropriate scan pictures which would be of immense value. Visualize normal anatomy of the abdomen and pelvis like never before with Netter’s Correlative Imaging: Abdominal and Pelvic Anatomy. 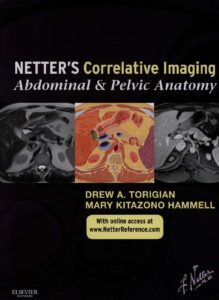 This outstanding radiology reference from Dr. Drew A. Torigian and Dr. Mary Kitazono Hammell features beautiful and instructive Netter paintings and illustrated cross-sections created in the Netter style, presented side by side with high-quality patient MR images to help you envision and review both gastrointestinal and genitourinary anatomy section by section.